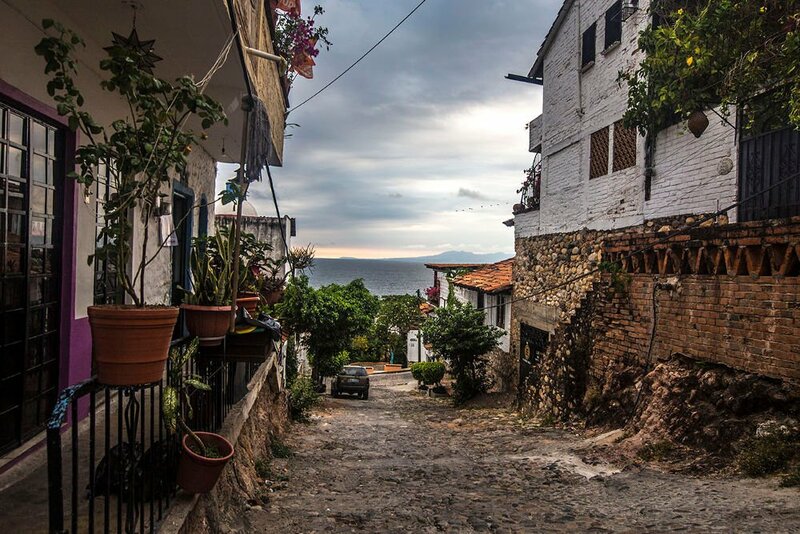 From a walk on the beach during sunset to getting lost in the maze of alleys in the old town, there are so many fantastic things to do in Puerto Vallarta, one of Mexico‘s hottest destinations. Check out what are the places to visit in the area and the great outdoor activities, and book your ticket! The vibrant city of Puerto Vallarta, located in the state of Jalisco, on the Pacific coast of Mexico, has been one of the first gay-friendly destination resorts for US travelers since the 70s and it’s still promoting itself as one. Although the city has been expanding its boundaries over the years with the construction of huge all-inclusive hotels in a new area called New Vallarta, the historical center has conserved his old romantic charm, with, cute boutique hotels, local and international restaurants, bars and café and the unmissable Malecón where people, foreigners and locals alike, love to take a stroll, walk their dogs, watch the sunset or enjoy the morning chill. The things to see in Puerto Vallarta are plenty and even a 15-day-vacation is not enough to cover them all. Especially if you also want to save time to enjoy the beach and relax, which is what vacations are for, right? 1. First and foremost, walk on the Malecón during sunset and watch the sun fading away in the horizon while shooting amazing photos. 3. Take a free walking tour of the historical center. You can ask at the local tourist information about time and meeting point. There are 2 different tours in different areas and you might want to join both. 5. Walk on the northern part of the Malecón and admire the bronze sculpture by Sergio Bustamante an amazing Mexican artist based in Guadalajara, the capital city of Jalisco, where he has his own shop – worth a visit if you pass by. Even if you are not into art those statues are really worth checking out, even your kids will love them. 6. In the Malecón you can also admire the Papantla flyers from Veracruz, an amazing show performed at the rhythm of Veracruz typical music. A must-watch. 7. Take a food tour around the most highly rated food stall and kiosks. You won’t regret it, although it’s not suitable for vegans and vegetarians, it’s one of the cool things to do in Puerto Vallarta. 8. Visit the nearby beaches of Yelapa, Quimixto, Las Animas. My favorite among them is Quimixto, where the water is crystal clear, the beaches are peaceful and less populated and you can also enjoy a lovely lunch in the only restaurant by the sea. 9. Visit the trendy towns of Sayulita and San Pancho. It’s an hour bus trip and it’s all worth it. The place of surfers and good vibes. My favorite is San Pancho, though, quieter and smaller. 10. Visit the botanical garden. It’s considered one of the most beautiful in North America and you will love it for sure. You can also have a little hike among plants and flowers of all sorts. The restaurant on the premises is also remarkable. 11. Treat yourself with a massage. I have never seen so many spas in one place and all so cheap. I had mine at the Marriott Puerto Vallarta, a little more expensive, but worth all the money. But you can find of any type and prices all over Puerto Vallarta. 12. Take a tour to the world-famous Islas Marietas, one of the best outdoor activities in Puerto Vallarta. For sure you have seen the pictures somewhere with a huge hole looking like a crater and an immaculate beach inside. The place has been closed for a while because the huge amount of tourism was deteriorating the eco-system. 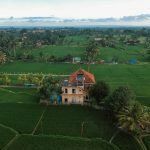 Now they have recently reopened it and raised the price to a ridiculous rate but if you can, it will definitely be an amazing trip. 13. Have a walk around Cuale island, pass through its swinging wood pedestrian bridges and walk around the local artisan stalls – they have lots of lovely colored local artifacts, including amazing paintings. 14. Take a tour to watch the dolphins. And I suggest this because they are wild in the ocean and not born in captivity. Therefore, there is a chance that you might not see them although it’s rare, because they know where to find them. 15. Enjoy one of the beaches of Bandera Bay. The trendiest one is Playa de Muertos, lined up by bars and restaurants open from breakfast time through the sunset. 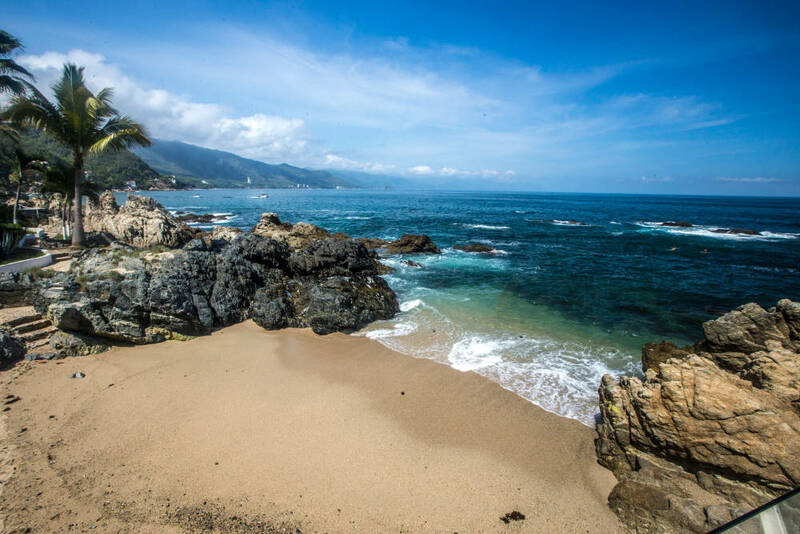 If you are still wondering what to do in Puerto Vallarta, this is a great place to unwind. 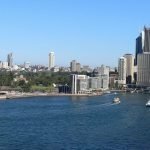 The hotel options are huge and the variety of accommodation will make everybody happy. From self-catering apartments to boutique hotels, beach resorts and the all-inclusive options. I have visited a few of them and here below I will tell you my preferred places where to stay. Casa Malia – This is where I have stayed for 2 months looking after about 20 cats. The owner is a lovely French lady named Beni, with a passion for pets, especially cats. However, I was flabbergasted to see how clean the house was despite so many furry ones around. She is almost obsessed with cleaning so your room and common areas will be impeccable. The rooms are lovely decorated in a mix of French and Mexican style, although you can find fancy objects that she brought from her travels around the world. The location is also ideal, right in the heart of the historical center but in a very quiet and peaceful area. You also have the use of an outdoor, roofed kitchen and a plunge pool. The place operates only in winter. Casa Karma – is my second favorite place, right on the cliffs south of Puerto Vallarta. The stunning boutique hotel offers a classic and elegant space with sweeping views on the Banderas Bay. It has a private beach and is a few steps away from Conchas Chinas (the beach I was talking about in my to-do list above). Luna Liquida – this is one cute little surprise I found during my hotel visit. Tacked away from the hustle and bustle of the city life, the lovely boutique hotel is still a few steps from the beach and from the heart of the historical center, on top of the hills overlooking the entire bay. This is a little luxury treat without having to splurge. Villa Premiere – If you are looking for sheer luxury with top notch service you need to head to this stunning hotel located at the end of the Malecón right on the water. Here you will find stunning spacious modern rooms decked out with the finest amenities and lifestyle conveniences. You can also enjoy fine dining experiences within the hotel premises, although you have an abundant variety of choice among the local restaurants in the surrounding area. Hyatt Puerto Vallarta – For the all-inclusive affectionate this is my choice, although you will have a lot of other stunning hotels to choose from. But as a connoisseur of hotel brands, I love Hyatt style and its location in Vallarta is ideal, away from town but still at a 10 minutes taxi drive, or bus, if you prefer. 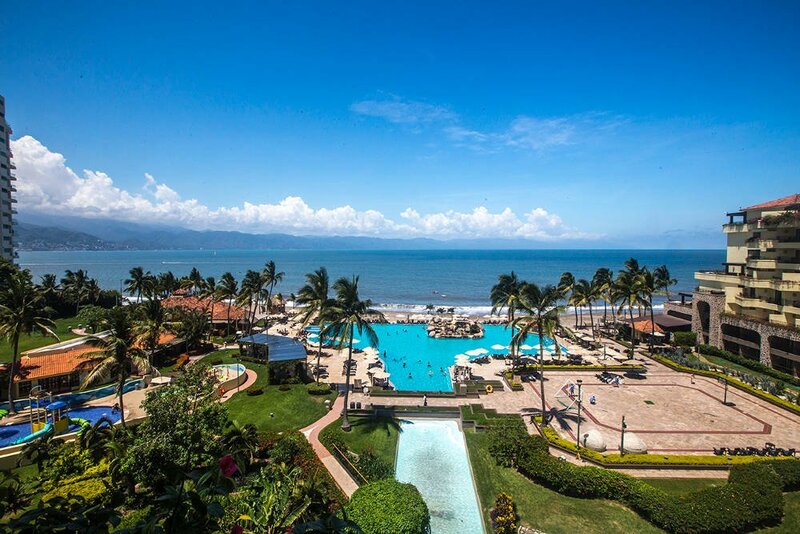 Marriott Puerto Vallarta Resort & Spa – It’s a classic and you cannot go wrong. If you love beach resorts with all the facilities at an easy reach but with the freedom to choose, Marriott It’s perfect for you. Located in the hotel zone by the Marina, the hotel offers a variety of 5 restaurants, which are not included in the price, a mini club for the kids, a huge pool, an amazing spa with top quality treatments (I have tried a massage and it took me to heaven for an hour). At a walking distance, by the Marina area, you also have other restaurants and facilities to choose from. As much as the hotel choice, the options of restaurants are really huge and diverse, and for every taste. • Pancho Takos in #162 Basillo Badillo street- They seem to have the best tacos in town and evidence is that you can always find a line waiting. They are open daily from 6.30 pm and are closed on Sunday. Right beside Pancho Takos there is Café de Olla, a very cute place, packed most of the time, and famous for their “Chile relleno”, a typical Mexican dish. Also the road Basilio Badillo is full of nice restaurants. SALUD SUPERFOOD – Located close to famous Playa de Muertos, it offers a rich menu with healthy dishes as well as their vegan and vegetarian versions. THE GREEN PLACE (VEGETARIAN) – It’s a beautiful large space where they also offer healthy cuisine workshops and display art exposition. The food is great, even though it’s more casual and you will find mainly sandwiches, salads and great desserts. JERUSALEM EXPRESS – Perfect if you love Middle Eastern cuisine. It’s a small place and all but appealing, but that’s where I had the best vegan pita kebab ever. The owner Alon, from Israel, is one of a kind, a great talker and passionate about its own place. Although he’s a vegan too, he serves meat dishes as well. FLORIOS – Another restaurant I love is Florios, a mix of Italian, Argentinian and Mexican. The pizza is great, by the way. I love the ambiance and location as they are set on a lovely terrace with wooden furniture. 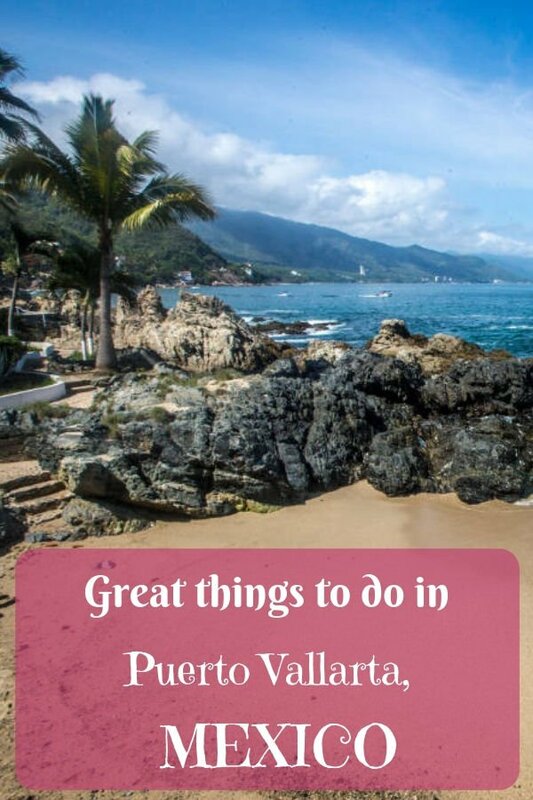 As you can see Puerto Vallarta has it all, great beaches, beautiful hotels, tours and things to do to keep you entertained and great dining options. A perfect place for a summer holiday or a winter break!